Design lines in stained glass artwork are important, but they often show as black and prominent with a source of light coming from behind them. In representational stained glass art, however, when plated glass techniques are used and design lines are carefully designed and implemented, those lines can actually enhance the sense of depth in a design. 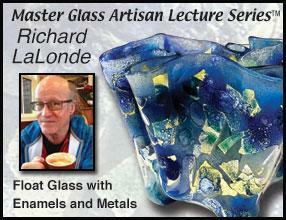 This article was originally published on page 24 of the March/April 2012 issue of Glass Art.